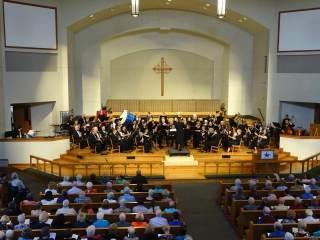 Lone Star Symphonic Band presents music, Music, MUSIC! The Lone Star Symphonic Band will perform a concert, titled “music, Music, MUSIC!” Gerald Guilbeaux, Music Director of the Acadian Wind Sympphony and Lafayette (LA) Concert Band, will also conduct two pieces during the concert. The selections slated to be performed at this concert include The White and Red Rose March, Fantasy in French, Night on Bald Mountain, Celebration Fanfare, Down in the River, and The Cowboys.